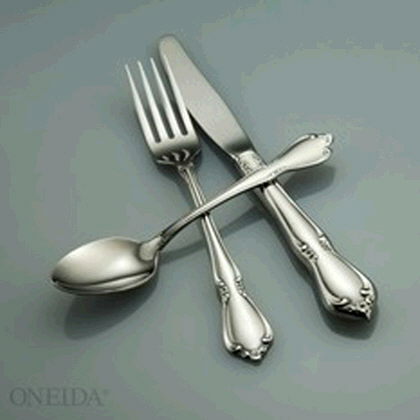 Oneida Chateau Stainless Steel Flatware. An Oneida 4-star pattern, the finest quality heavy gauge 18/8 stainless steel. * Please call us for any questions on our chateau rentals in Ft. Wayne IN, Warsaw, Syracuse, Auburn, South Bend, Indianapolis IN.